On Sunday, November 18, as part its ongoing Youth programs, the Seattle Go Center hosted its annual fall tournament for go players age 17 and younger. It was a just-for-fun event where the kids could choose to play their games on 19×19 or 13×13. 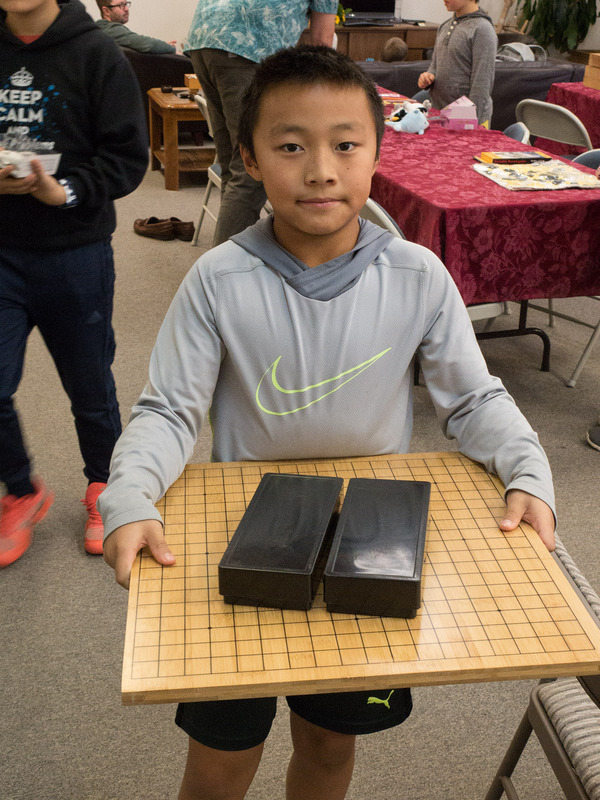 Eight kids played three rounds in the 19×19 group, and thirteen played four rounds in the 13×13 group. Players ranged from pre-school through 7th grade. For most of them, it was their first tournament ever. 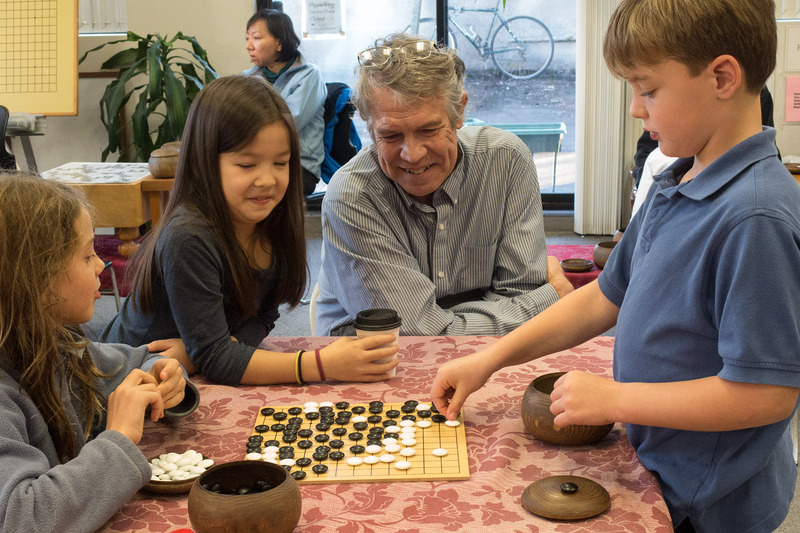 About 24% of the players came from one of the Go Center’s school outreach programs, another 38% from the Northwest Chinese School Weiqi Club headed by Sonny Cho, and the remaining 38% didn’t declare a program affiliation. Halfway through the event, light snacks were devoured by the growing young go players and their support crews (a.k.a. families). At the end, all players got to choose a prize, in order of win-loss record. Donated prizes of go equipment were very popular. Other prizes included folding fans, sketchbooks, erasers shaped like dinosaurs, etc. Thanks go to the families who brought the young players, and to the volunteers (Peter Kron, Sonny Cho, and Brian Allen) who helped it all run smoothly. Seattle Go Center’s next Youth event will be on a Sunday in March 2019 — exact date to be announced soon.